Inventure Foods is a specialty foods manufacturer based in Phoenix, Ariz., that was looking to move a fresh fruit processing facility from Lynden, Wash., to Bellingham, Wash. Inventure’s Rader Farms stored its fresh-frozen berries in the Bellingham Cold Storage facility in Bellingham, requiring them to transport the fruit north several miles to the processing plant in Lynden. To save on transport cost and time, the processing facility was moved to Bellingham Cold Storage. Chad Fisher Construction was hired to do tenant improvements on Inventure’s new processing facility. 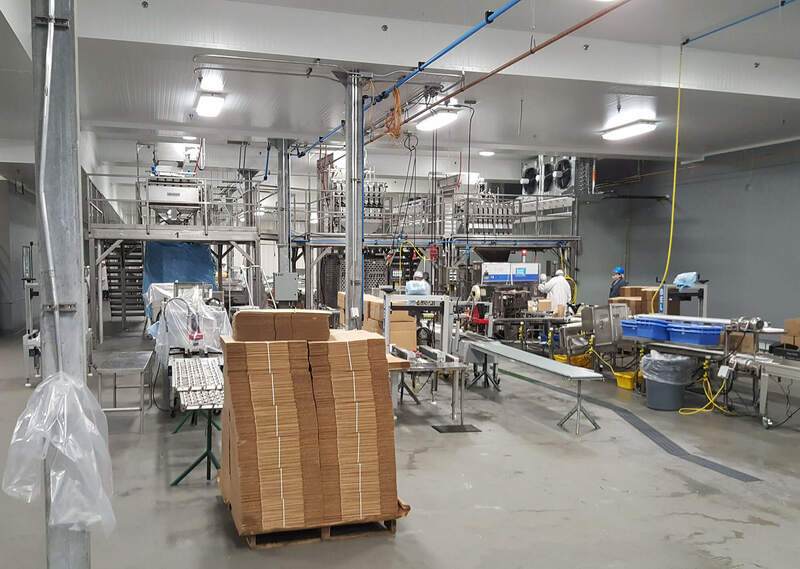 Improvements included a new fire suppression system, preparing the 23,000-sq-ft space for three production lines and remodeling 5,000 square feet of office space. 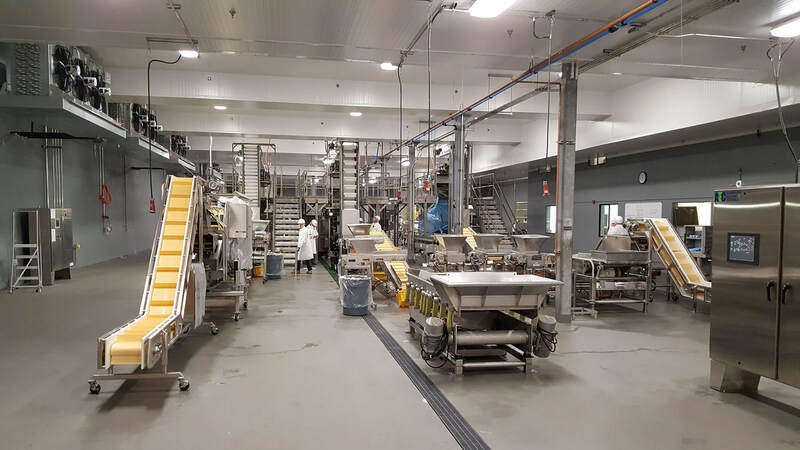 In order to ready the facility for the new production lines, an insulated metal panel ceiling, epoxy coated floors and walls, and a new fiber-grated trench drain were installed. The loading dock was upgraded with new dock levelers and door seals. Existing office space was remodeled, retrofitting the HVAC system to accommodate the additions and adding enhanced data services to the offices. 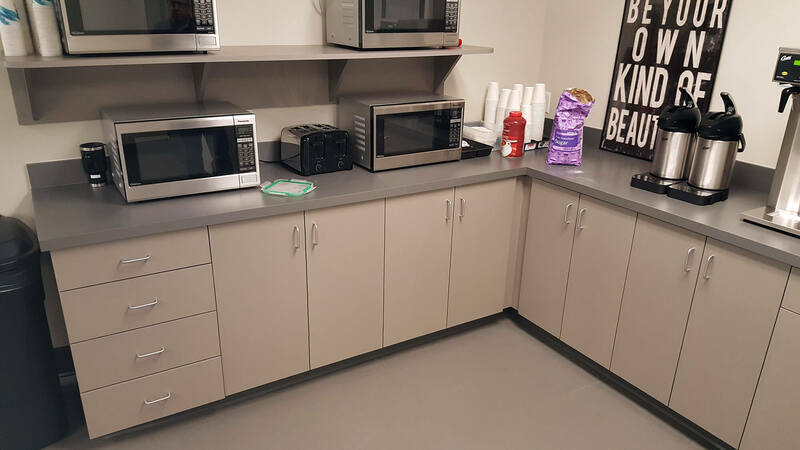 An old production area was converted into a break room, complete with cabinets and space for microwaves, vending machines and sinks. 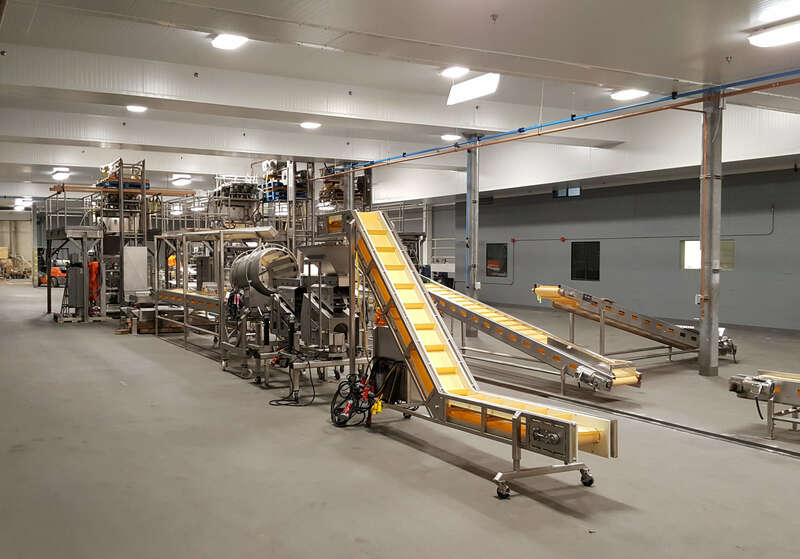 The production lines were all moved during a scheduled 3-4 week downtime to accommodate the production schedule, and the project was completed on time.